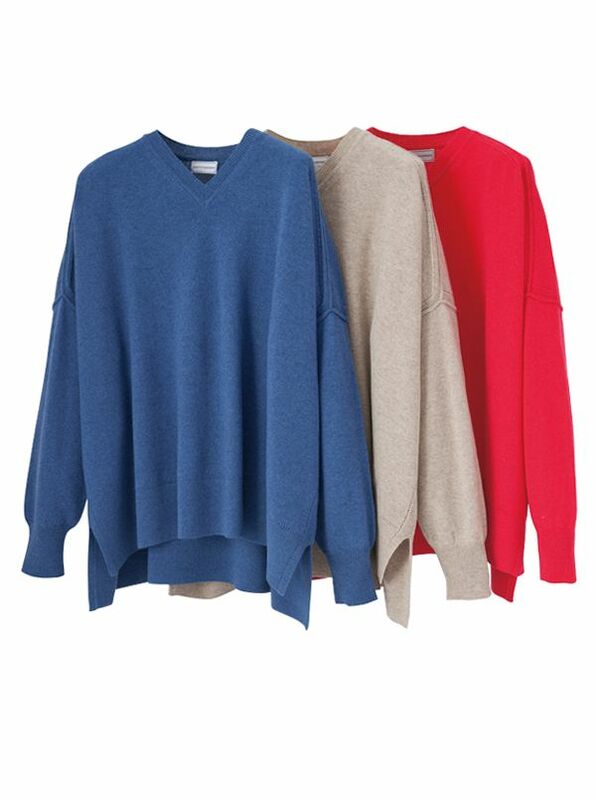 Solimar Cashmere V-Necks knitted in California in a very comfortable easy-fitting one-size model that fits sizes 4 to 14. Unique drop shoulder and high-low waist flatter every figure. Ribbed cuffs collar and waist. Lightweight single-ply 100% cashmere.